Over the past several years the East Hanover Township Board of Supervisors has been evaluating the need for a new Public Works Building. This project is a result of the increased population and demands for road and park maintenance throughout the Township. The East Hanover Township is planning to build the new building on the property that was the original sewage treatment plant. EI Associates has been working on programming, planning and design of a new Township Public Works Facility Project for the Township of East Hanover. The new facility will be located on a 14 acre site located on the south side of Jonestown Road. The facility will accommodate the Township's public works and vehicle maintenance operations. 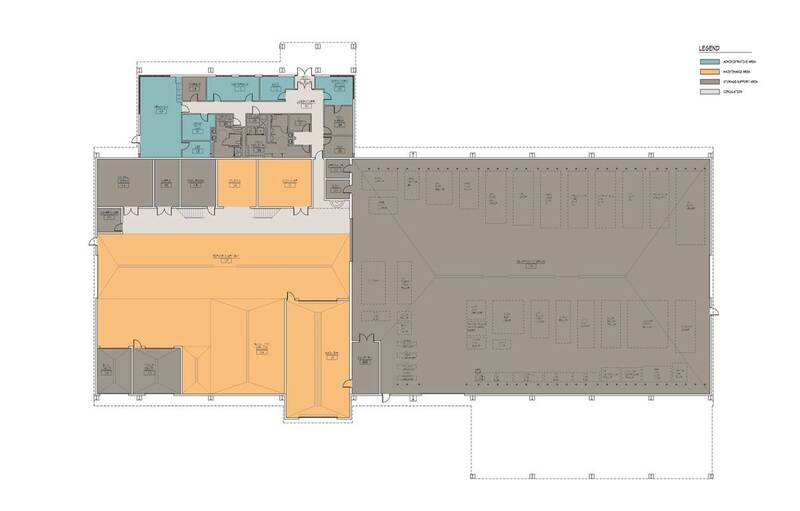 The facility will include the office of the Public Works Director, a break room, bunk rooms for men and women, locker rooms for men and women, heated work/maintenance bay, vehicle wash bay, tool/parts room, sign shop, chemical/paint storage room, restrooms, mechanical room, vehicle and equipment storage bays. The site and facilties is planned and designed to maximize utilization of the site for current planned uses plus provide for expansion in the future. The facilities is also planned and designed to integrate access, egress, parking, utility service, future expanision and site lighting. Master site planning will address the location of sale and aggregate storage facilities and yard waste composting facilities. Green and sustainable features will be utilized in the design including alternate energy sources.